Los Angeles (February 12, 2019) – The Broadcast Television Journalists Association (BTJA) and NPACT, the trade organization serving the producers of nonfiction entertainment content, unveiled today the categories and submissions guidelines for the first-ever Critics’ Choice Real TV Awards, which recognize excellence in nonfiction, unscripted and reality programming across broadcast, cable and streaming platforms. The awards show takes place Sunday, June 2 at the Beverly Hilton Hotel in Beverly Hills. Created to give the thriving, ever-evolving genre critical attention and support, the BTJA- and NPACT-developed awards show is adapted from, and replaces, the NPACT Impact Awards held last year. The new event also will recognize leaders in the industry. In addition to the critics’ choices, the show will feature two fan-voted awards, and three peer-voted awards, that will be given to those who have made significant contributions to the industry. Bob Bain and Joey Berlin will serve as Executive Producers. The Broadcast Television Journalists Association (BTJA) is a partner organization to the Broadcast Film Critics Association and is made up of TV, Radio and Internet journalists who cover television on a regular basis. The two groups recently joined to present the 24th Annual Critics’ Choice Awards, honoring the finest achievements in film and scripted television, on January 13 on The CW Television Network. 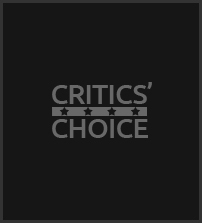 For more information, visit: www.CriticsChoice.com. NPACT serves as the voice for the non-fiction creative community, helping producers tackle the challenges they face in an age of media disruption, and offering a forum for producers to address critical business issues. NPACT’s 100+ member companies collectively produce the majority of all non-fiction content for US broadcast, cable television and digital platforms, and NPACT membership encompasses production companies of all sizes, as well as allied services companies. The organization maintains offices in New York, Los Angeles and Washington, D.C. Visit www.NPACT.org for more information. (Los Angeles, CA – January 13, 2019) – The Broadcast Film Critics Association (BFCA) and Broadcast Television Journalists Association (BTJA) announced the winners of the 24th Annual Critics’ Choice Awards tonight, live from the Barker Hangar in Santa Monica. Hollywood’s brightest shined at the gala event, which aired on The CW Network and was hosted by acclaimed film, television, and stage star Taye Diggs. In the film categories, “Roma” took home four awards, the most of the night, including Best Picture, Best Director and Best Cinematography for Alfonso Cuarón, and Best Foreign Language Film. “Black Panther” and “Vice” followed close behind, each winning in three categories. As previously announced, Best Supporting Actress nominee Claire Foy received the Critics’ Choice #SeeHer Award, which was presented by former #SeeHer Award recipient Viola Davis. Chuck Lorre, creator of such acclaimed TV comedies as “The Big Bang Theory,” “Mom,” “Young Sheldon,” and “The Kominsky Method” (which all received Critics’ Choice Award nominations this year), was honored with the Critics’ Choice Creative Achievement Award. The cast of “The Big Bang Theory,” including Mayim Bialik, Kaley Cuoco, Johnny Galecki, Simon Helberg, Kunal Nayyar, Jim Parsons, and Melissa Rauch, was on hand to recognize Lorre, just in time to celebrate the show’s final season. Other major winners on the film side included Elsie Fisher for Best Young Actor/Actress in “Eighth Grade,” “Mission: Impossible – Fallout” for Best Action Movie, “Crazy Rich Asians” for Best Comedy, “A Quiet Place” for Best Sci-Fi/Horror Film, and “Shallow” from “A Star Is Born” for Best Song. Critics’ Choice Awards are bestowed annually by the BFCA and BTJA to honor the finest in cinematic and television achievement. The BFCA is the largest film critics organization in the United States and Canada, representing more than 330 television, radio and online critics. BFCA members are the primary source of information for today’s film-going public. BTJA is the collective voice of journalists who regularly cover television for TV viewers, radio listeners and online audiences. Historically, the Critics’ Choice Awards are the most accurate predictor of the Academy Award nominations. The 24th annual Critics’ Choice Awards show was produced by Bob Bain Productions and Berlin Entertainment. The BFCA and BTJA are represented by Dan Black of Greenberg Traurig and WME. The Broadcast Film Critics Association (BFCA) is the largest film critics organization in the United States and Canada, representing more than 330 television, radio and online critics. The Broadcast Television Journalists Association (BTJA) is a partner organization to the BFCA and includes TV, radio and Internet journalists who cover television on a regular basis. For more information, visit: www.CriticsChoice.com. (Los Angeles, CA – January 10, 2019) – The Broadcast Film Critics Association (BFCA) and the Broadcast Television Journalists Association (BTJA) announced today a multi-year partnership with Swiss Watch Maison François Borgel Genève. This year, François Borgel Genève will provide customized watches to Critics’ Choice Awards nominees in the following categories: Best Director; Best Actor; Best Actress; Best Supporting Actor; Best Supporting Actress; and Best Cinematography. “We are thrilled to partner with the BFCA and BTJA for the prestigious Critics’ Choice Awards and look forward to building a long-lasting relationship. François Borgel Genève hopes to bring value by expanding our partnership with the Critics’ Choice Awards in the future,” said Dimitri Vorontsov, President & CEO of François Borgel Genève. “What an honor it is to be working alongside such a distinguished and innovative brand! We are so excited to build this relationship over the coming years, and to be able to give our nominees a beautiful, and timeless, gift,” said BFCA President Joey Berlin. The Critics’ Choice Awards will be broadcast live on The CW Network on Sunday, January 13th, from 7 – 10 p.m. ET (delayed PT). François Borgel – Maison d’Horlogerie de Genève Depuis 1887. François Borgel – The ultimate in superior watchmaking since 1887. François Borgel is a leader and innovator among the Swiss manufacturers and the creator of the first waterproof watch during the late 1800s, with adopters such as Longines and IWC. A true pioneer who fused fashion of the day with new radical designs, François Borgel launched the emergence of a classic showcase, a walk through time. With immense heritage, there is a lasting legacy through the founder’s daughter Louisa Borgel. The tradition continued, supplying famous manufacturers including the illustrious Patek Philippe and Vacheron Constantin. Now, François Borgel stands true to its heritage and delivers only the finest quality Swiss Made watches in the modern era. François Borgel – Precision in Excellence. From inception to finish, all François Borgel watches are built to original design concepts and exacting standards. After a successful design review the watch evolves through a series of processes involving part selection, assembly, quality assurance and final packaging. These processes are all carried out using traditional skills coupled with today’s modernized working tools. Highest quality touch and feel are at the core of the company’s products, with attention to details being completed by hand. In their completed form, François Borgel watches are subject to an extensive quality assurance process to maintain the company’s high exacting standards. The result is a modern superior high precision product that is descended from traditional roots. All of the company’s products are infused with the passion and dedication of its staff, which is the hallmark of François Borgel. In this constant pursuit of excellence François Borgel is proud to certify that its watches comply with the official regulations set by the Swiss Federal Council, the highest standards of watchmaking. As previously announced, Best Supporting Actress nominee Claire Foy will accept the #SeeHer Award, while Chuck Lorre, creator of such acclaimed TV comedies as “The Big Bang Theory,” “Mom,” “Young Sheldon” and “The Kominsky Method” (which all received Critics’ Choice Award nominations last month), will receive the Critics’ Choice Creative Achievement Award. In The CW’s new drama “All American,” Taye Diggs plays Billy Baker, the head coach of Beverly High’s football team, who can’t let go of his glory days in the NFL. He recruits Spencer (Daniel Ezra) from South Crenshaw, maybe because he sees himself in Spencer, maybe because he wants to win, or maybe a bit of both. Diggs recently starred in the romantic comedy “Set It Up” opposite Zoey Deutch and Lucy Liu. He also completed the independent film “River Runs Red,” featuring John Cusack and George Lopez. Earlier this year, Diggs and collaborator Shane Evans released their third children’s book, “I Love You More Than.” This book is a follow up to his first two children’s books, “Chocolate Me” and “Mixed Me!,” through Macmillan Publishers. (Los Angeles, CA – December 10, 2018) – The Broadcast Film Critics Association (BFCA) and the Broadcast Television Journalists Association (BTJA) announced today the nominees for the 24th Annual Critics’ Choice Awards. The winners will be revealed at the star-studded Critics’ Choice Awards gala, broadcast live on The CW Network on Sunday, January 13, 2019 from 7:00 – 10:00 pm ET (delayed PT). “The Favourite” leads all films this year with 14 nominations including Best Picture, Olivia Colman for Best Actress and Best Actress in a Comedy, Emma Stone and Rachel Weisz both for Best Supporting Actress, Best Acting Ensemble, Yorgos Lanthimos for Best Director and Best Editing, Deborah Davis and Tony McNamara for Best Original Screenplay, Robbie Ryan for Best Cinematography, Fiona Crombie and Alice Felton for Best Production Design, Sandy Powell for Best Costume Design, Best Hair and Makeup, and Best Comedy. “Black Panther” impressed with 12 nominations, followed by “First Man” with ten, and “Mary Poppins Returns,” “A Star Is Born,” and “Vice” with nine nominations each. “Roma” earned eight nominations, while “Green Book” has seven. Amy Adams stands out as a nominee in both film and television for her roles in “Vice” and “Sharp Objects,” respectively. HBO and Netflix lead the networks with 20 nominations each, followed by FX with 17, Amazon with 12, and NBC with 11. Topping the list of nominated series are The Americans (FX), The Assassination Of Gianni Versace: American Crime Story (FX), and Escape at Dannemora (Showtime) with five each. The Marvelous Mrs. Maisel (Amazon) and Sharp Objects (HBO) follow close behind with four nominations. A Very English Scandal (Amazon), Atlanta (FX), Barry (HBO), Better Call Saul (AMC), Genius: Picasso (National Geographic), The Good Place (NBC), Homecoming (Amazon), Jesus Christ Superstar Live in Concert (NBC), Killing Eve (BBC America), One Day at a Time (Netflix), and The Tale (HBO) all received three nominations. Other multi-nominated series include Dirty John (Bravo), The Good Doctor (ABC), The Handmaid’s Tale (Hulu), The Kominsky Method (Netflix), Notes from the Field (HBO), Pose (FX), Succession (HBO), This Is Us (NBC), Will & Grace (NBC), and Young Sheldon (CBS) each with two nominations. Los Angeles, CA (November 16, 2018) – The Broadcast Television Journalists Association (BTJA) and NPACT, the trade organization serving the producers of nonfiction entertainment content, announced today they have joined forces and will spin off the Critics’ Choice Awards “Reality Show” categories to create a brand new, stand-alone awards show dedicated to nonfiction, unscripted and reality television content. The inaugural Critics’ Choice Real TV Awards will take place Sunday, June 2, 2019 at the Beverly Hilton Hotel in Beverly Hills. Bob Bain and Joey Berlin will serve as Executive Producers. Collaborating on an event that gives the thriving, ever-evolving genre its due respect and support, the BTJA- and NPACT-developed awards show recognizes excellence in nonfiction, unscripted and reality programming across broadcast, cable and streaming platforms. Adapted from and replacing the first NPACT Impact Awards held earlier this year, the new event also will recognize leaders in the industry with awards highlighting careers and honoring lifetime achievements. 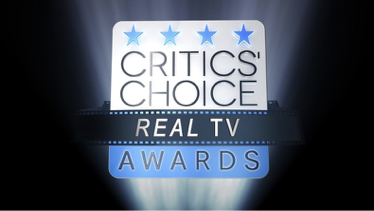 The Critics’ Choice Real TV Awards categories will be announced in January. To ensure the integrity of the awards, BTJA will monitor all awards submissions and select the nominees in all competitive categories. NPACT will lead the selection of non-competitive discretionary awards. A call for submissions in all competitive categories will take place in early 2019. A blue ribbon nominating committee made up of BTJA members with expertise in nonfiction, unscripted and reality television will determine the nominees, who will be announced in early May. Winners will be chosen by a vote of the BTJA membership and announced at the Critics’ Choice Real TV Awards gala on June 2. Submission details and official show categories will be announced in January. The Broadcast Television Journalists Association (BTJA) is a partner organization to the Broadcast Film Critics Association and is made up of TV, radio and Internet journalists who cover television on a regular basis. The two groups will again join to present the 24th annual Critics’ Choice Awards, honoring the finest achievements in film and scripted television, on January 13 on The CW Television Network. For more information, visit: www.CriticsChoice.com. NPACT serves as the voice for the non-fiction creative community, helping producers tackle the challenges they face in an age of media disruption, and offering a forum for producers to address critical business issues. With 100+ member companies, including production companies of all sizes, as well as allied services companies, NPACT members collectively produce the majority of all non-fiction content for US broadcast, cable television and digital platforms. NPACT maintains offices in New York, Los Angeles and Washington, D.C.